The rail and cycle bridge between Hattem and Zwolle is a remarkable landmark. 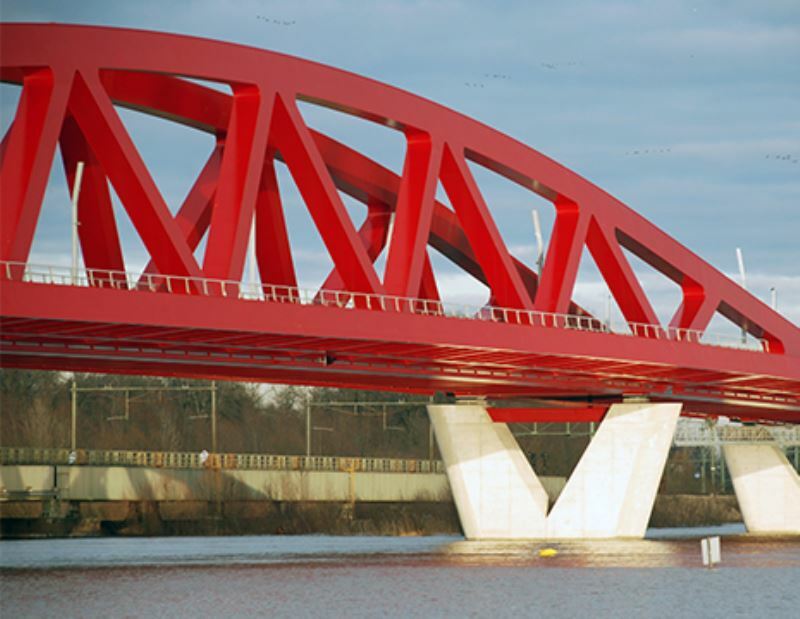 The red bridge, designed by Quist Wintermans Architekten bv, has such a slender appearance that it would seem almost impossible for trains to cross in safety. This perception is further reinforced by the largest span of no less than 150 metres. It was needed to allow large ships to pass through unimpeded. 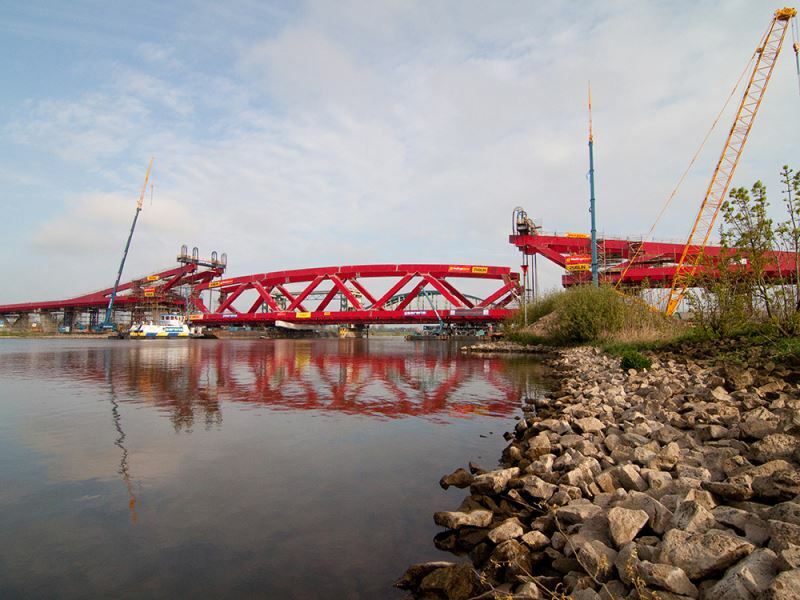 The bridge is part of the 50-kilometre rail link between Lelystad and Zwolle: the Hanzelijn (Hansa Line). The abutments and the main span run seamlessly into each other to form a whole. A four-metre-wide cycle and pedestrian path runs alongside the railway line. This path is attached to the main beam by means of projecting cantilevers attached to the main beam. 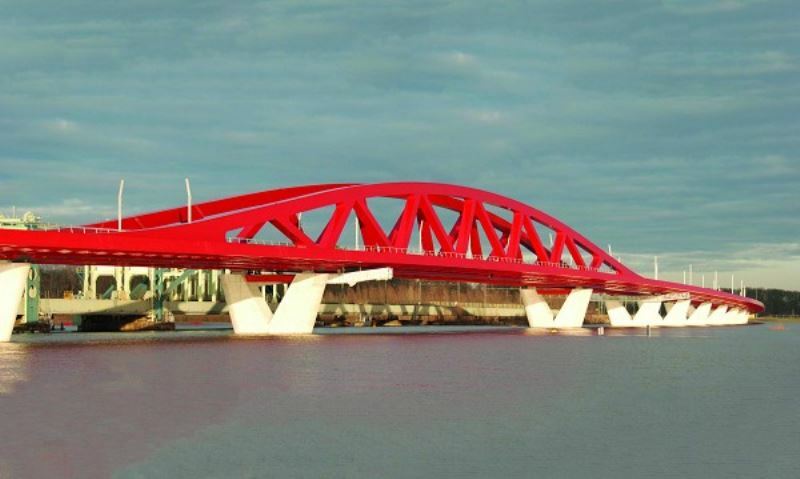 The bridge is the winning design of a Design and Build competition between five short-listed consortia. An engineering consortium was formed between ABT and SSF (Munich) for the execution of the tendering design. ABT, as a ProRail-recognised engineering firm, was also responsible for the geotechnical consultancy, the assessment by means of systems engineering, and the harmonisation with Dutch standards and ProRail guidelines. 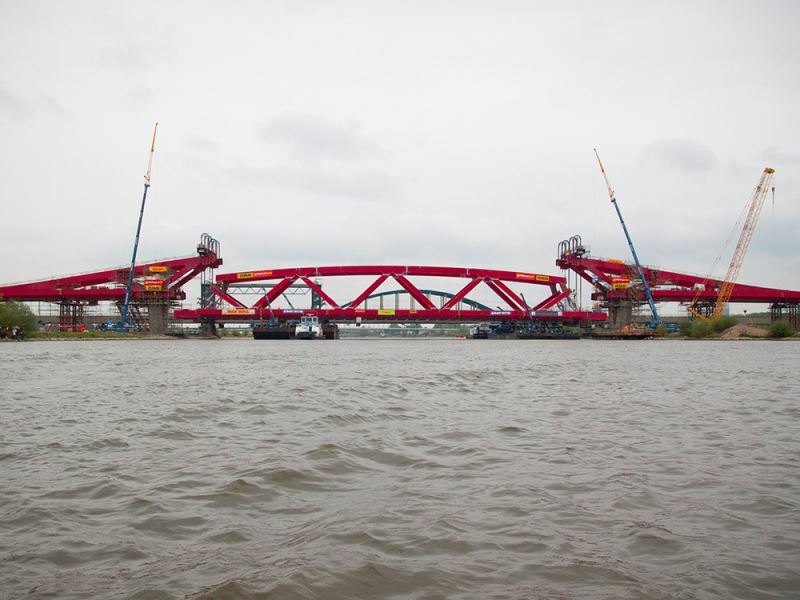 In 2012 the Bridge over the River IJssel walked off with the National Steel Prize in the ‘bridges’ category.